Summaq (aka sumac), the Arabic word based on the Assyrian, Neo-Aramaic word Summaqa, which means “red shift” or “turning red”. The plant grows from 1-10 meters high, most common at 3 meters. It has hairy leaves and branches where clusters of maroon/burgundy coloured berry clusters hang. It belongs to the larger family of Anacardiaceae, also known as Rhu. 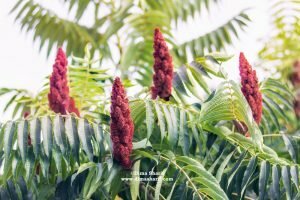 The sumac plant is native to the Mediterranean basin and also grows across the Middle East, East Asia, North Africa, and in the subtropical areas of North America and Australia. Sumac had recently been declared by the American National Institute of Health and Slow Aging as the superfood that packs the most Orac, with 312,400 orac units per 100g. Orac is the unit by which antioxidant properties are measured in foods. The institute listed sumac at the very top of the list, as it happens to pack 4 times the amount of orac than that in parsley, which is very high top of the list, and 3 times that of sage! Antioxidants protect our bodies from free radicals that cause cancers and other serious diseases. And sumac so far packs the most of those. As such it is also known as an anti- aging agent, which slows down the aging and decay processes of our bodies. Healing and cleansing of wounds, infections and skin rashes or ulcers. Treatment of sore stomachs due to consumption of spoilt foods. Treatment of common colds, respiratory illnesses and general fatigue. It so happens that modern research proved sumac to contain properties that make it a powerful antioxidant, anti-inflammatory, anti-fungal, anti-microbial, and anti-aging ingredient. 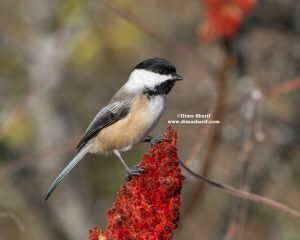 Also it is now known that sumac is high on vitamin c, omega 3 fatty acids, and packs the essential minerals: potassium, calcium and phosphorus. Other old and traditional uses include sumac powder being used for tanning as a colouring agent. A very good example of that continued to date is the Moroccan use of sumac to tan leathers. These berries are ready to harvest in the late summer (August), where the heat is at its highest and before the cool of autumn starts. Once picked, the berries are then separated from the branches and left to dry in the sun for 7-10 days. Once dried, they are coarsely crushed with a pestle and mortar (the old traditional tool for this is a wooden pestle and mortar, known as Jurun). They are then sifted using a wide-holed sieve, where the debris and any remaining branches are discarded. The sumac goes through 3 stages of drying in the sun, crushing and sifting, with 2 days to dry in the sun between each step. Once done, they are then kept in an airtight container and stored in a cool, dry and dark place. The culinary sumac is the coarse powder of the dried (summaq) berries of a plant native to the Mediterranean basin. 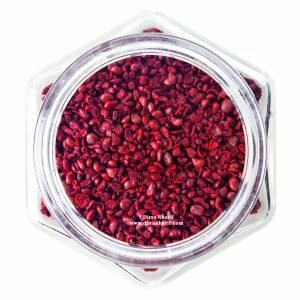 The coarse sumac powder is naturally brownish maroon in colour. When smelled, it should smell of hints of berry, faint lemony aroma mixed with earthy tones. It tastes tart, with hints of berries. As such, it is widely used as a spice and as a souring agent. 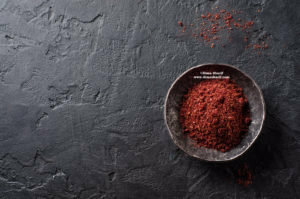 Nowadays, this sumac powder is more popular around the world, however it has always been a staple spice and aromatic in Arabic and Middle Eastern cuisines. Especially so in the cuisine of the Levant and specifically in Palestinian cuisine where some concoctions use sumac as a main ingredient (Musakhan and Sumaqqiah). Traditionally added to some sandwiches such as meat shawermas and pulled chicken sandwiches. Used as a main ingredient / aromatic in Musakahn and Summaqqiah (both of which rely heavily on Sumac as a main ingredient). Sprinkling over fried vegetables (or roasted vegetables) such as eggplants and cauliflower, as well as sprinkling over fried fish. Also a sour juice is made out of Sumac, which is used in dressing salads and in some marinades (find out how to make sour juice and sweetened sumacade on this link). This is especially true back in the day when sumac was used as a substitute to lemons when lemons were out of season. Turkish Cuisine: Used in the making of Lahmajun, and rubbing on Kebabs. Iranian and Kurdish: Sumac is added to rice or kebabs. I personally love using sumac wherever tartness is needed. I love it sprinkled over fried eggs, salmon, to crust some cheeses, to crust tuna steaks, over grilled fish and I even like to sprinkle it as garnish over many plates. I use it in many marinades and salad dressings, sprinkle it in sandwiches and because my sumac is absolutely beautiful and utterly delicious I love having it with olive oil as we do with dried zaatar. I dip the bread first in my delicious olive oil and then dip it in the sumac! Absolutely heavenly! my Sumac is one of the best selling items in my Organic Mooneh Essentials. It is superb because I use pure sumac, not mixed with anything, without the addition of any preservatives, chemicals, dyes or any such thing as non are needed. The quality of the sumac is outstanding and you truly taste sumac when you taste it. When you smell it, you smell an earthy, tangy and hints of berry aroma. Because it is pure it is pungent and a very small amount goes a very long way. It is worth mentioning here that most Sumac found in the market is usually mixed with ground chickpeas and ground wheat (which makes it unsuitable for gluten intolerant consumers). The addition of these usually makes the sumac very mild if not tasteless. You will notice that you use a lot but can hardly taste it. My sumac on the other hand all you need is 1/4 tsp (as opposed to the 1 1/2 tbsp of other types in the market) to flavour a whole bowl of fattouche! Also the ones at the market are usually dyed in order to hide those additions, and as such they will seep colour into the food. Pure sumac will add a bit of faint colour when soaked for long, however will never colour the food instantly! If you have not already, do give my sumac a try and see what Dubai is raving about. 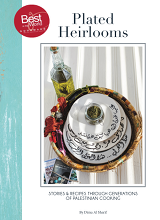 Buy it on this link and we will deliver to your doorstep (we so international shipping as well). This web site is really a walk-through much of the info you look for and dont know where to look or who to ask. I came here, and found a lot of useful information. off with a healthy lifestyle so that they have a solid base to grow from. they’re missing out on some of the nutrients and vitamins they need to turn them into fit young adults.